"The peace of mind that I have dropping my daughter off at school everyday is beyond measure! I literally do not have to spend one second of my day worrying." Scientific exploration often begins the inquiry-learning process that is so greatly valued at Park Prep Academy. Student natural curiosity and questioning shapes the curriculum and content of what will be studied. Biological, ecological, chemical, along with physical science is explored through identifiable figures of great interest to preschoolers. 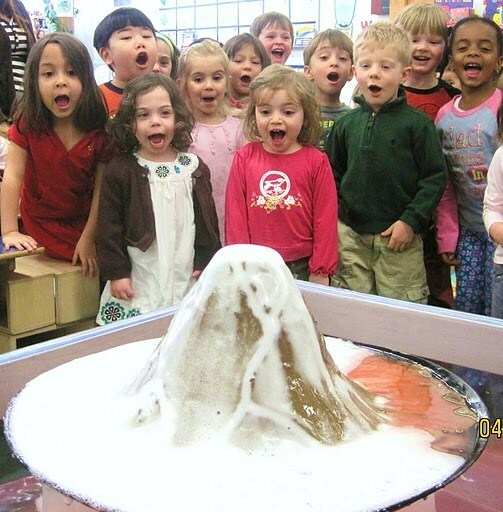 Relatable topics such as: butterflies, plants, weather, and volcanoes, help pique student interest and lead to profound scientific exploration, well beyond surface level. Park Prep Academy’s extensive library has a profusion of non-fiction materials that help reinforce and further this scientific understanding and exploration. Park Prep Academy has two sensory tables where the students are exposed to different types of textures such as sand, soil, pebbles, water, flour and snow. The students are encouraged to experiment, observe, discuss, analyze and document their experiences as a way to expand their understanding of the world around them.